The history of Maw’s firm has been well researched by various people, so I will give you just a basic overview and a few links(1). What I will also do is provide some pictures to show you what kind of supplies could be bought at Maw’s. It all started with George Maw, from Lincolnshire, who, in 1807 started a partnership with his wife’s cousin Hornby in Fenchurch Street. 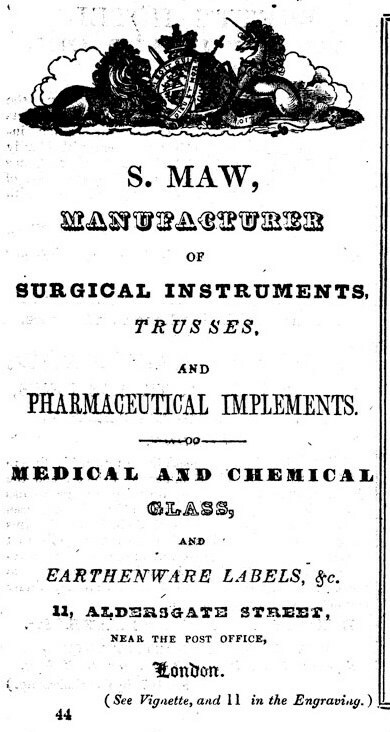 In 1814, he set up for himself by purchasing the business of a surgical instrument maker in Whitecross Street. In 1825, he moved the business to 56 Aldersgate Street where his sons John Hornby and Solomon joined him. 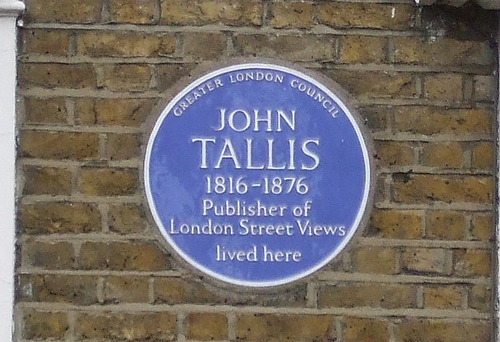 The firm moved again in 1834 to 11 Aldersgate Street where Tallis was to find them, but by then it was in the hands of son Solomon; father George had retired in 1829(2) and the eldest son John Hornby in 1836(3). As you can see from the vignette in the Tallis booklet, the shop and workplace comprised quite a substantial set of buildings behind the modest shop front. 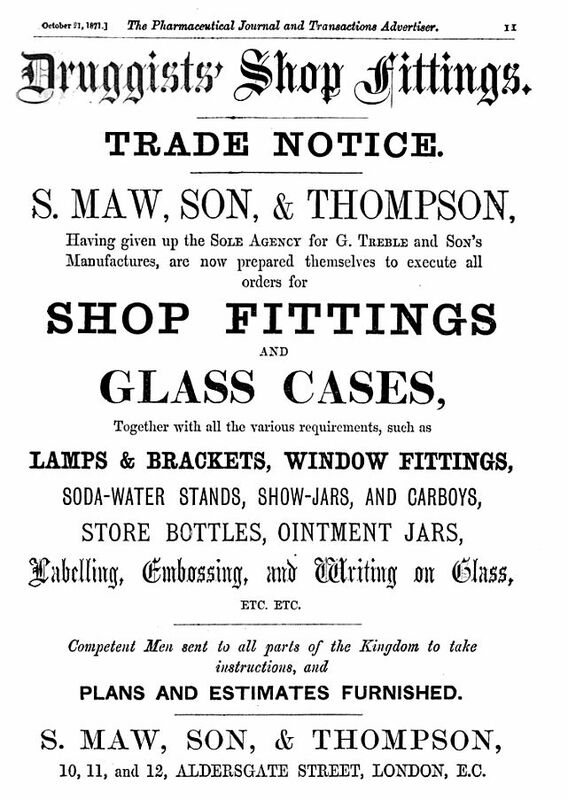 Solomon brought in his son Charles in 1860 and the business became S. Maw and Son. But Solomon was not to enjoy the partnership for very long, as he died the following year. (4) Charles took in his own sons and various Maws have run the business until the 1970s when they were taken over by a large international supplier. After WWI, the factory had been relocated to New Barnet. 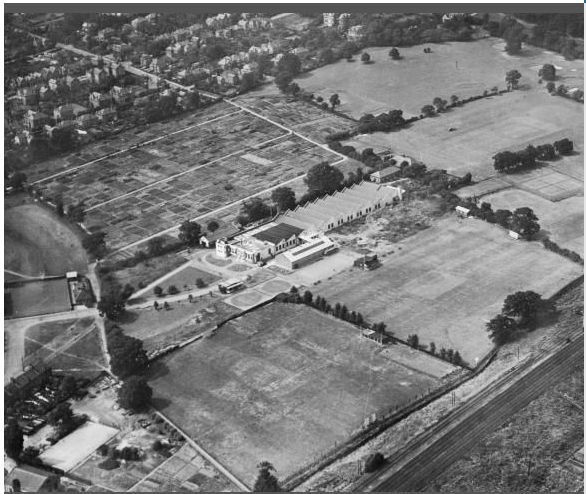 New Barnet (Source: Britain from above) See their ‘nearby images’ for more views. 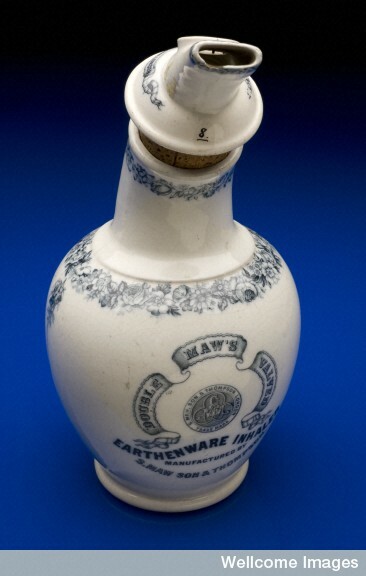 In 1868, Maw’s took out a patent for “a perfume flask to be called ‘Gaskings perfume pistol flask'”. 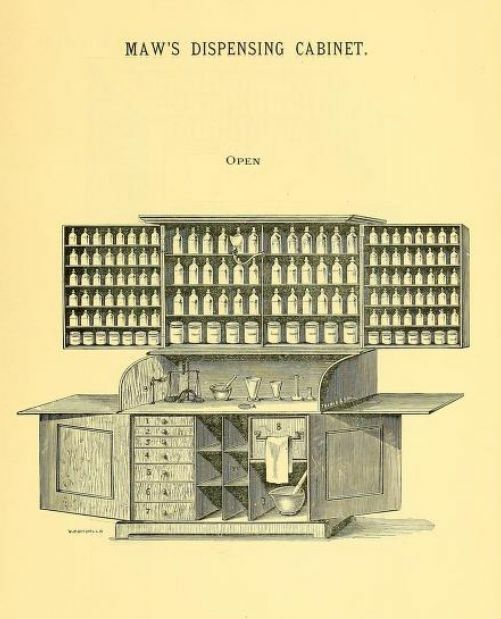 The Chemist and Druggist found it interesting enough to write a short description about it with a picture to illustrate it (or did Maw pay for the item and is it really an advertisement?). 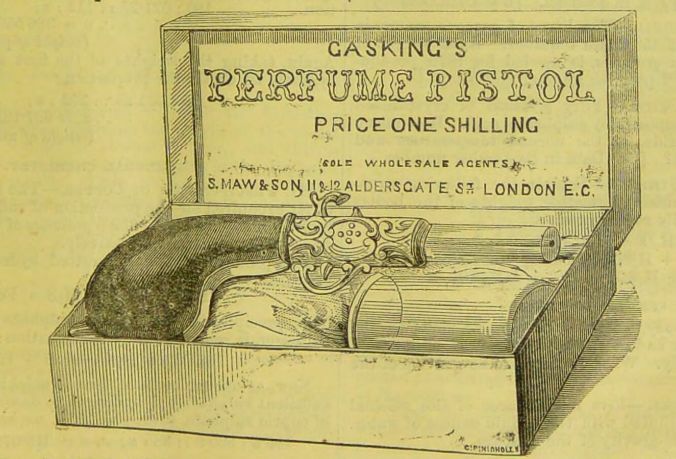 The stock of the pistol was made of india-rubber and could be filled with perfume. A little pressure would force a thin spray from the glass barrel. The magazine wrote that “it will no doubt be very popular at Christmas parties”. No doubt, but I am afraid that if I were to carry such a pistol on the Underground, I would instantly be set upon by the anti-terrorist brigade. 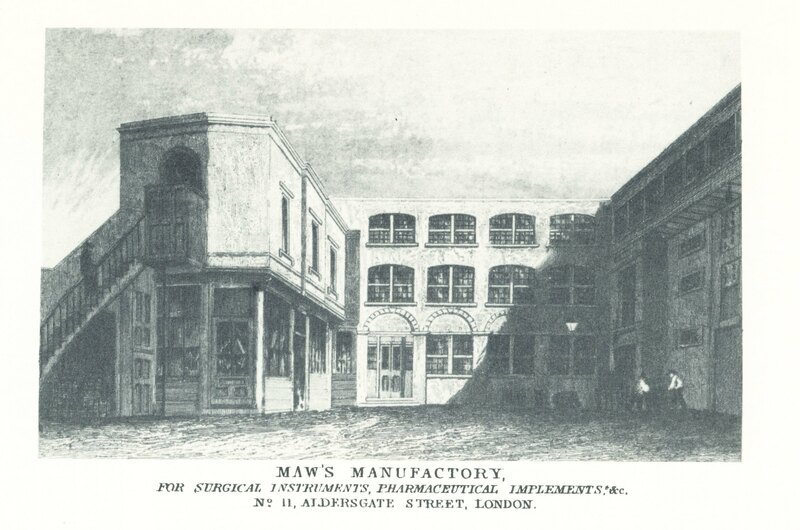 After a fire in December 1856, the Aldersgate premises had to be rebuilt and twenty years later, after the Maws had acquired the neighbouring premises, a new front was put on. 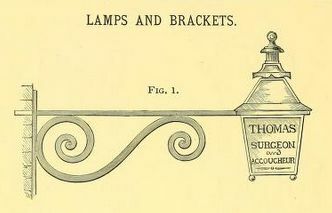 According to The Chemist and Druggist, it was “a handsome front extension” designed by the same architect, H.B. Garling, who had also designed the main building after the 1856 fire. 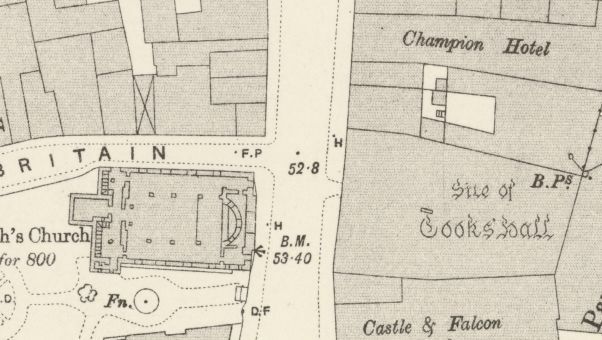 The plot the Maw business stood upon roughly corresponds to where Cooks’ Hall once stood. 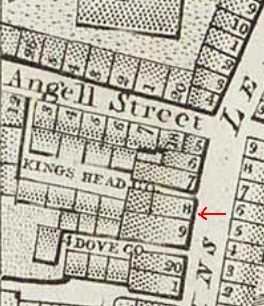 (5) That building was not rebuilt after a devastating fire in 1771, but as late as 1893, the Ordnance Survey map still identified the plot as such. Meanwhile, John Hornby Maw, after his retirement in 1836, had founded a decorative tile making business for his sons George and Arthur, first in Worchester, later at Benthall, Shropshire. The company, after a few restarts, still exists. See here for their history and here for their website. The old factory is now a craft centre, see here. 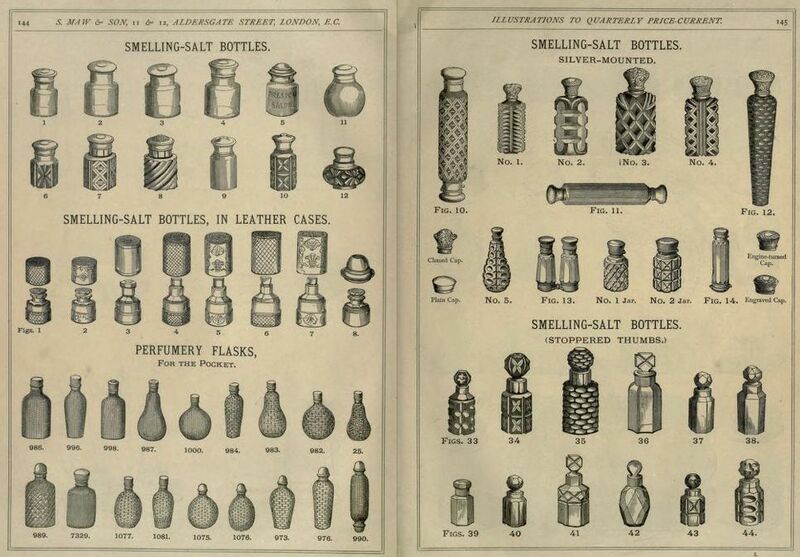 Chronological list and copy of information in The Pharmaceutical Industry: A Guide to Historical Records, edited by Lesley Richmond, et al., Ashgate, 2003 (online here – a bit lower on the page, so scroll down or use search). The same source is used by CollectingMe.com. (2) The London Gazette, 17 July 1829. (3) The London Gazette, 17 June 1836. (4) England & Wales, National Probate Calendar (Index of Wills and Administrations), 1861. (5) See the website of The Worshipful Company of Cooks of London here. Whether this new competition brought Farr down or whether things were not going so well anyway is uncertain, but fact is, that in 1801 bankruptcy proceedings were started against him. (2) The notice in The London Gazette tells us that Farr was “late of Leather-Lane […] and now of Aldersgate Street” and that he was a victualler, dealer and chapman. For a couple of years, the Land Tax on the property was paid by a John Farr, presumably a relative, but from 1803 to 1805 it is paid by William Harmer. 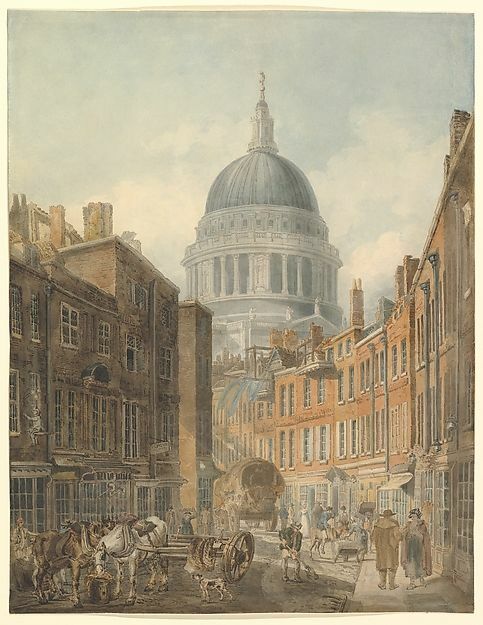 In 1805, Margaret Harmer marries Thomas Woodward by licence at St. Anne and St. Agnes, Aldersgate. (3) Although it is not explicitely stated, one of the witnesses was William Harmer and we may presume a father-daughter relation. From 1806 onwards, Thomas Woodward enters the tax records as the proprietor of 81 St. Martin’s-Le-Grand. 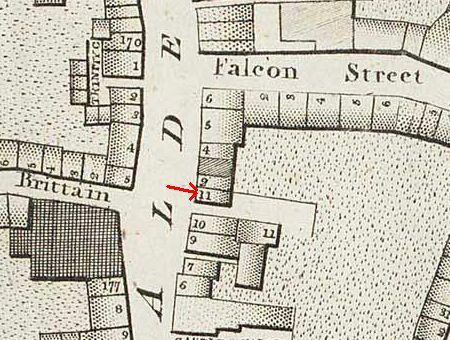 The 1799 Horwood map confirms that Farr, Harmer and Woodward had their shop at number 18. The tax collector walked from house to house and the ledger shows him going through Four Dove Court, then to the two houses “in the street”, that is, in St. Martin’s-Le-Grand, and then continuing into King’s Head Court. The bakery is always given as the second property from Four Dove Court. Thomas and Margaret had at least four children: a daughter Margaret and three boys, John, Thomas junior, and James. (4) The boys were all taken on as apprentices in their father’s business (in 1821, 1813 and 1827 respectively) and the two youngest were to continue the business after their father’s death. 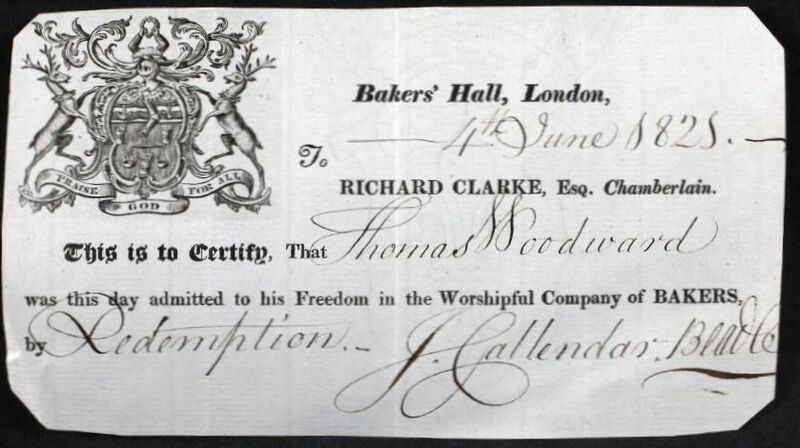 Thomas senior only bought his freedom from the Bakers’ Company in 1821. Why he did so only many years after he started his business is unclear, but perhaps it was to be able to formally take on his sons as apprentices. An insurance record for 1830 shows us that Woodward was extending his property into King’s Head Court. He was paying the premium on 18 and 19 St. Martin’s-Le-Grand (number 19 occupied by a fishmonger) and on 4-7 King’s Head Court (oocupied by a painter). The 1851 census shows various tenants living in the Court, so Woodward did not obtain them to extend his business, although he may of course have used the ground floor with the tenants on the higher floors. The baking business apparently went on without any major mishaps, or at least, I have found no record of them. 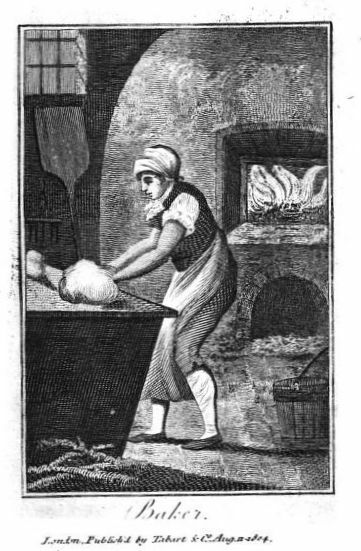 By 1843, however, Thomas Woodward & Son are listed in the Post Office Directory as flour factors, but they had not given up the bakery itself as in the 1851 directory, Thomas & Son are again listed as flour factors, but at the same address James could be found as the baker. Thomas senior died in 1854 and from his will we learn that son John is deceased, so no wonder the name of the flour factor’s business was Thomas & Son and not Thomas & Sons. (5) From 1855 onwards, 18 St. Martin’s-Le-Grand is listed for Thomas junior and James jointly and the Kings’ Head Court properties for Thomas alone. That situation remains the same until 1860 when the properties are suddenly listed for Henry Stephens. James Woodward can be found in Islington in the 1861 census, still as a baker, and Thomas, flour factor, has moved to Hornsey. Dr. Henry Stephens dealt in inks and stains, and was the inventor of an indelible blue-black writing fluid which was to become famous as “Stephens’ Ink”. The catalogue of the 1862 International Exhibition includes various positive comments on the inks that Stephens produced (see here – bottom half of the page). Stephens had been at Stamford Street before he took over the bakery premises, but he was not to enjoy the shop in St. Martin’s-Le-Grand for very long as the Post Office had plans to extend their already substantial building on the east side of the street to the opposite side (see here). Stephens moved his business to Aldersgate Street and later to Holloway. 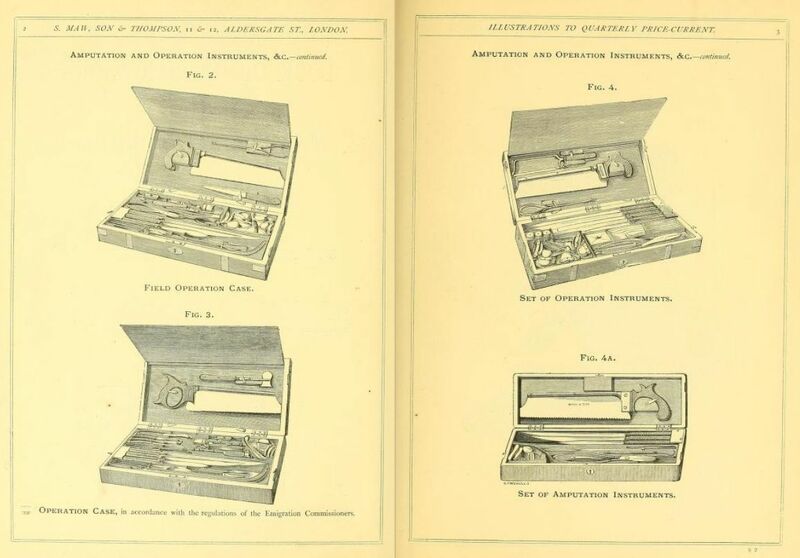 His son became known as Henry ‘Inky’ Stephens, but that is another story and you can read all about him here. (1) The Bodleian Library dates the document to “1790?”, but I think it must be later. The Land Tax records show Robert Farr at the premises in 1798 and 1799. It is then taken over by a John Farr, presumably a relative, who pays the tax from 1800 to 1802. However, in 1797, the property is given as empty in the tax records suggesting that Robert only started his bakery in 1798. (2) The London Gazette, 24 February 1801. (3) The marriage took place on 10 July, 1805, by licence, and unfortunately, the church record does not include the names of parents or an address. (4) They were all baptised in the local church of St. Anne and St. Agnes: John 23 February 1806, Margaret 27 december 1807, Thomas 14 May 1809, and James 14 April 1811. (5) The National Archives; Kew, England; Prerogative Court of Canterbury and Related Probate Jurisdictions: Will Registers; Class: PROB 11; Piece: 2195.